A short while back, Canada’s own Research in Motion began selling its long awaited Playbook tablet. You might have heard that this was coming, as the media was very hungry for news on tablets set to compete with iPad. You might also have heard that RIM has had a series of PR, well, disasters leading up to this release: from on-camera CEO breakdowns, to a cavalcade of bad reviews that suggest the product is not yet ready for market. What should have been an exciting and positive time has instead become a challenging time poised to test the mettle of the company and affect its long-term reputation in a highly competitive marketplace. The recent PR missteps have been documented extensively elsewhere so rather than repeat them here in-depth, let’s look at the Playbook story as a whole and see what lessons can be learned for other companies bringing technology to market. When the co-CEO of RIM shut down a BBC interview because of a line of tough questioning about problems that had already been widely reported, he let himself and his company down. Had he been prepared to answer these questions, which by all rights he should have expected, there would have been no PR fallout whatsoever. Instead, he made a tempest in a teacup that’s been rebroadcast around the world. Extensive media training is not required for all scenarios but being conscious of what the tough questions might be and how you’ll respond so that those responses mesh with your company’s key messages, is PR 101. Your PR resources should be able to assist you with this. Though some could argue that this tactic backfired for RIM, it’s a regular practice to release a product to select tastemaker media in advance of a release date to get (hopefully) positive reviews into the market prior to it being generally available. In the Playbook’s case, ostensibly because the product isn’t quite ready for market yet is being released anyhow, the market is now flooded with negative reviews, which may or may not affect the market’s appetite for the product out of the gate. One of the biggest criticisms of the Playbook is that it’s going to market lacking some pretty basic essentials like native email, calendar and contact applications. 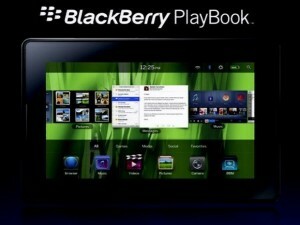 Though promised down the road, it begs the question that if Playbook isn’t ready for market, why is it being released now? There are a lot of factors that impact a product release date and in most cases, product releases slip to the right from when they were originally scheduled. It’s integral that product development, in lockstep with marketing, plan for a realistic launch date so that neither team fails the other, either readying a market for a product that won’t be deliverable as scheduled, or, in the case of the Playbook, building hype for a product release that’s not going to meet expectations and thus sully the company’s reputation. …almost every new technology has but a narrow window of market opportunity that it must exploit before something newer or better comes along. A big news story such as this inevitably creates a wave of coverage about not just the primary story but related topics, other players, and so on that can be exploited by savvy companies that are monitoring the media for opportunities to tell their story. In the case of the Playbook, there have been several companies that have done a particularly good job of riding the wave. It’s ironic that the biggest lesson to learn from Playbook is that one should have a, well, playbook when bringing a new technology to market, one that covers both product development and marketing. It will be very interesting to see if RIM, with its largely successful history, can not only survive but flourish with its tablet. The reviews are not all bad and RIM appears to be working on solutions for the clear shortcomings of the product. Only time will tell as to whether releasing the Playbook now was a good move or a bad one.